Jeffrey has been tasked with setting up the boardroom for video conferencing. It’s a decently large space with a table for six and room on the sides. He wants a conference phone that will integrate seamlessly with the video camera. It should pick up the voices of everyone and provide excellent audio. The camera system needs to provide professional video on two displays with content sharing for their graphs and charts. And he needs to stay on budget. What should he get? 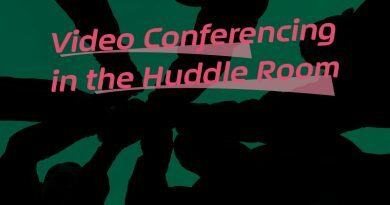 Liza has been tasked with providing a simple, casual video conferencing experience in the huddle room. Something easy to use, enabling impromptu huddles, maybe one-touch conferencing. The camera must have a wide-angle lens to capture all the people in the smaller space. The conference phone needs to keep the voices clear, even in the more chaotic huddle space. A cloud-based video conferencing system would be great, because they’re better across devices. On top of that, her team leader has been contemplating getting an interactive display to take notes on their brainstorms. What should she get? 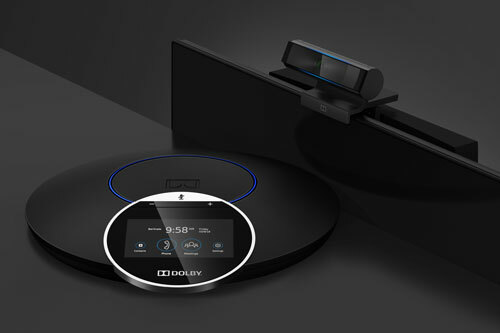 One video conferencing system solves both problems: Dolby Voice Room. 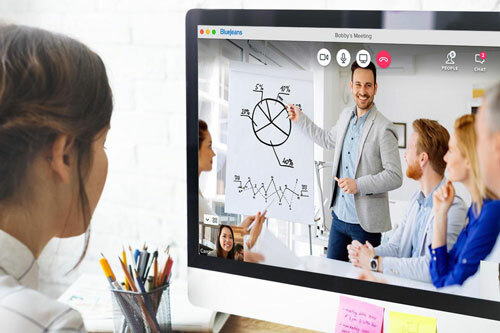 Dolby Voice Room is a premium video conferencing system that gives you incredible collaboration features you can’t find anywhere else. The name Dolby lets you know that you get unbeatable audio quality. When our customers hear the audio quality that this system provides, they’re frankly amazed. It’s like night and day. If you want the best audio quality, go with Dolby. 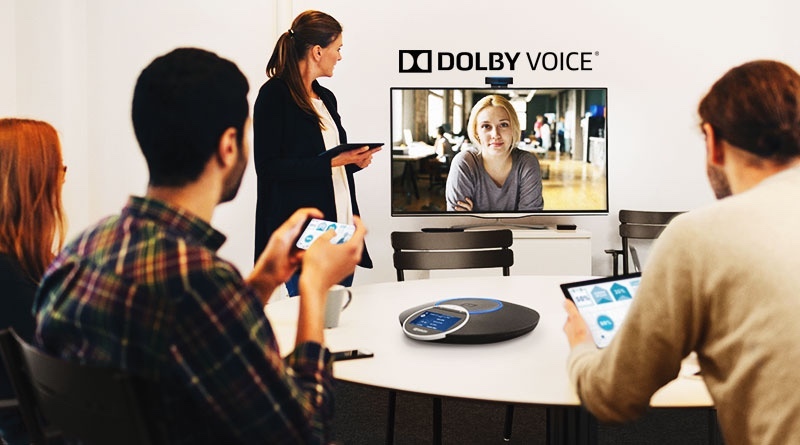 Simple to configure, manage, and operate, a Dolby Voice Room system consists of Dolby Conference Phone with Dolby Voice Camera and Dolby Voice Hub. Dolby engineered the camera and hub specifically for this system. We sell all the hardware you need in one bundle: Dolby Voice Room Kit. 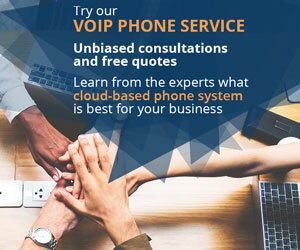 Note that it does require a compatible cloud-based video conferencing service like BlueJeans or Highfive for operation. More on that later! Let’s dig in more into the capabilities of the Dolby Voice Room components. Dolby Voice Camera has a 4k Ultra HD sensor and a wide 95° angle of view. Its wide-angle lens lets it work for the huddle room, while its UHD sensor means it provides enterprise-class detail, even when used in the conference room or boardroom. It’s a USB camera, so it’s very simple to set up. 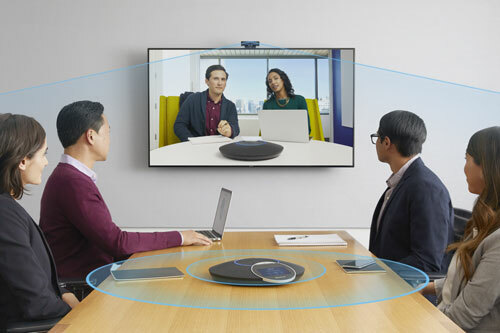 Dolby Voice Hub is a dedicated conferencing appliance that connects all the components and integrates with service providers. If you hook the hub up to a Power over Ethernet source, it can also power the conference phone. It can be mounted in multiple ways, including tabletop and behind-the-display. Together, they are capable of remarkably useful conferencing applications. What can Dolby Voice Room do? Intelligent scene framing. Dolby Voice Camera can identify people and adapt the picture so everyone is nicely framed. If someone moves, the framing adapts. You’ll get a detailed, natural picture automatically. Whiteboard view. If a whiteboard is in view of the camera, you can set the system to display it. Using the conference phone, you can correct the perspective for a better picture. You can preset the whiteboard area in the room, making it very easy to start collaborating. This feature eliminates the need to buy an interactive display! HDR video mapping. Everyone who’s been on a video conference call knows that high-contrast scenes can be very annoying. Some people are in shadow while some people are blown-out. Dolby’s high dynamic range technology is always working to balance exposure levels to ensure the best possible picture quality. Changing daylight, challenging room lighting, and shifting people will no longer mess up the picture. Dual monitor support. Dolby Voice Hub has ports for connecting two HD displays. You can display people on both, or people on one and content on the other. No additional licenses are required for this feature. We recently talked about Dolby Conference Phone. 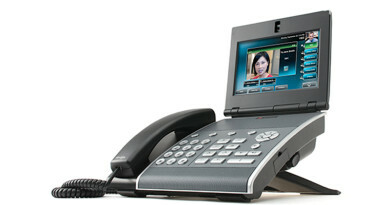 It’s an incredible conference phone when used with a SIP-based platform, like RingCentral, Cisco CallManager, or Avaya Aura. But this dual-mode phone is much more than a SIP phone. 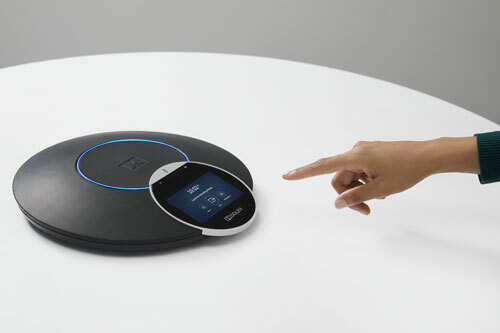 Using the conference phone as part of a Dolby Voice Room system unlocks features that you simply can’t get with any other conference phone on the market today. Dolby developed its own better-than-wideband audio codec, DVC, that enables these features. Because the codec supports discontinuous transmission, meaning that data isn’t transmitted when it doesn’t need to be, it’s also a highly efficient codec. What can Dolby Conference Phone do? Voice placement. When you use a conference phone, voices get flattened into a single stream, right? You lose all the context of where people are situated, right? Not so with Dolby Voice Room. Knowing Dolby audio in the cinema or Dolby Atmos at home, you know that they can solve this problem. Dolby Voice Room features spatial audio technology that places each voice in its distinct position, making it much easier to follow the conversation. Dynamic leveling. If one participant is farther away, will their voice be quieter? For most conference phones, the answer is yes. Not so with Dolby. Dynamic leveling adapts the volume levels to bring out the quieter or more distant voices. It also is an adaptive noise cancelling technology that learns to tell speech apart from noise, greatly improving the conferencing experience. Full-room pickup. According to the spec sheets, the microphone array of Dolby Conference Phone captures voices out to 20ft. This is a very conservative number. In practice, the conference phone reaches to 30ft or more. And if you need even more coverage, we sell the Dolby Satellite Microphone Kit with two expansion microphones. You get full-room pickup even in SIP mode. Dolby Voice Room requires a subscription to a compatible cloud-based video conferencing service provider. Here, we talk about an excellent option: BlueJeans Rooms. At IP Phone Warehouse, we make it easy for you. If you aren’t already subscribed with one of these hosted video services, you can add a BlueJeans Rooms subscription to your purchase—a one-step process! When you go to add the Dolby Voice Room Kit to your cart, select the option you want: a monthly subscription to BlueJeans Rooms with excellent pricing or a free thirty-day trial of BlueJeans Rooms. It makes any room into a professional video conferencing space. BlueJeans provides cloud-based communications across devices. Interoperability. Don’t worry about whether the person you’re calling has a compatible system or what device they’re using. BlueJeans Rooms can be used with desktop or mobile devices and with other conference room systems. One-touch meetings. BlueJeans Rooms makes ad hoc meetings or scheduled meetings as simple to join as a single tap on Dolby Conference Phone. Integrated workflows. BlueJeans integrates with Microsoft Office 365 and Google Calendar to provide a simple workflow for reserving conference rooms and starting collaborative sessions. Central management. BlueJeans Command Center allows administrators to remotely monitor all the meeting rooms, including real-time analytics. Simple user interface. Reduce training time and start meetings faster with BlueJeans’ thoughtful UI, which is consistent across devices. Security. BlueJeans has enterprise-class security features, includes firewall traversal, SOC 3 verification, full encryption options, and VPN integration. ← Video Conferencing: Hosted or On-Premise? 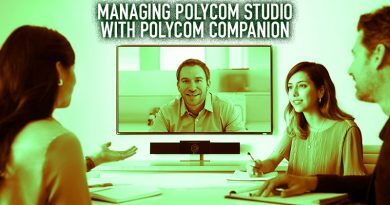 What is Polycom Acoustic Fence for the Group Series and VVX Series?